Shoot a stream of photons through a container of hydrogen gas. Observe how photons of certain energies are absorbed, causing the electron to move to different orbits. 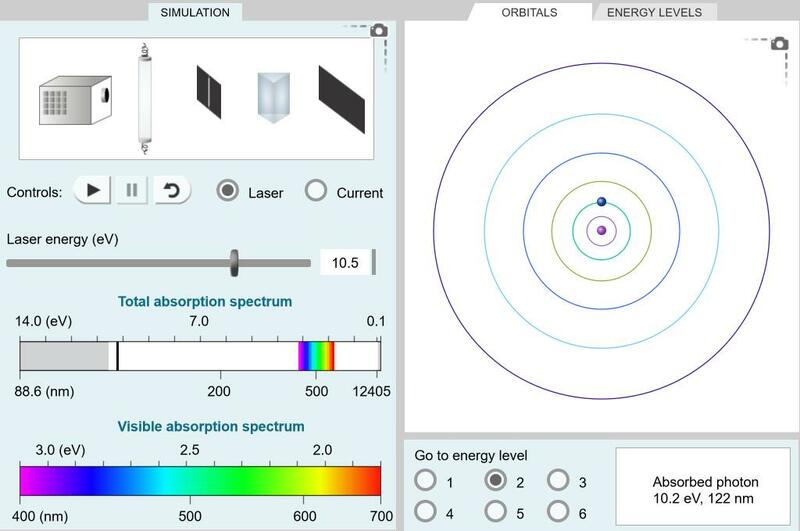 Build the spectrum of hydrogen based on photons that are absorbed and emitted. I strongly recommend this to AP students prior to doing the flame test in electrons in atoms and using Rydberg equations .